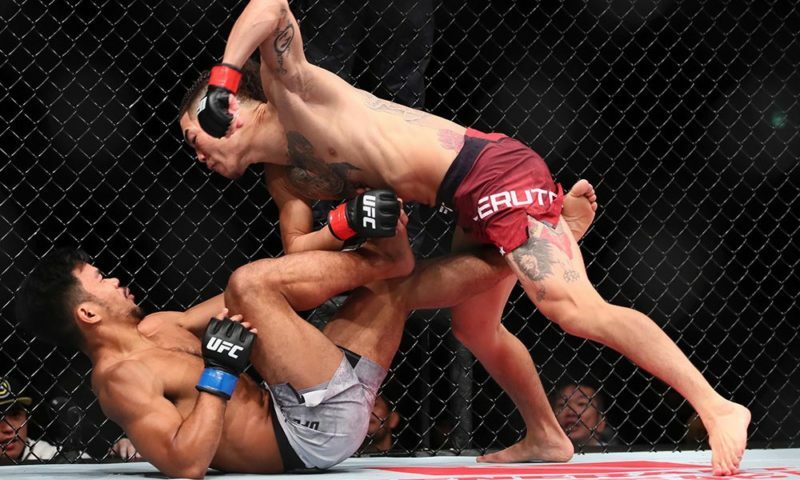 UFC Fight Night 126 played host to a slew of intense moments in Austin, Texas, as Derrick Lewis, Curtis Millender, Brandon Davis and Steven Peterson all come away with bonuses in what was a stellar night of fights. 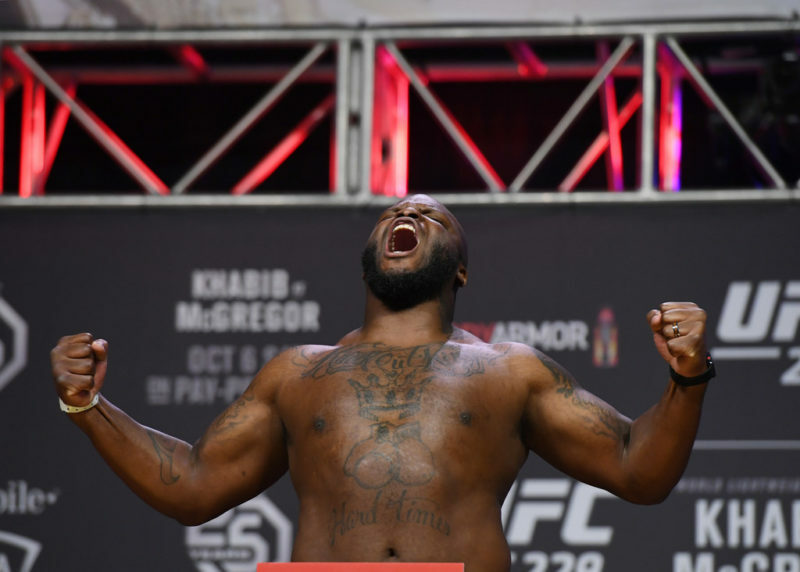 It was a back-and-forth homecoming affair for Derrick Lewis as he was fighting in his home state of Texas for the first time in his UFC career. In the opening rounds, Marcin Tybura was shaping up well with Lewis when it came to the ground game. 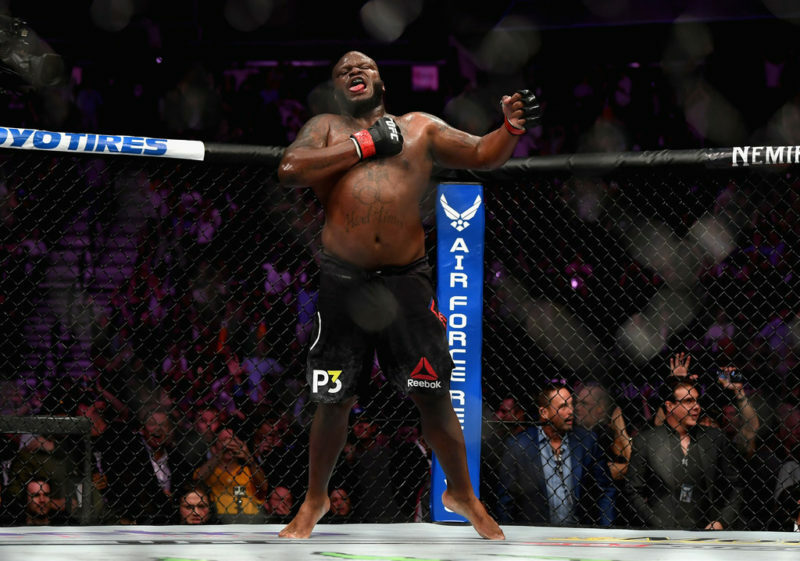 Derrick Lewis kept pushing the pace with his stand up. His right hand kept finding the chin of Tybura with relative ease. The reactionary work of Tybura was superb as he did well to avoid much of the damage Lewis was trying to inflict. In the second round, it seemed as though Tybura may sneak away with a win on enemy turf if he could continue the top pressure. 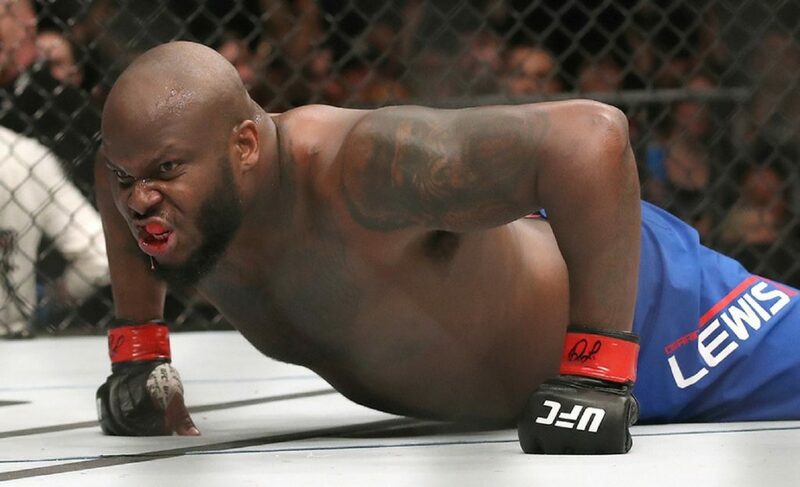 Derrick Lewis was stubborn in defense as he continued to shuck Tybura off of position whenever he sunk into full mount. 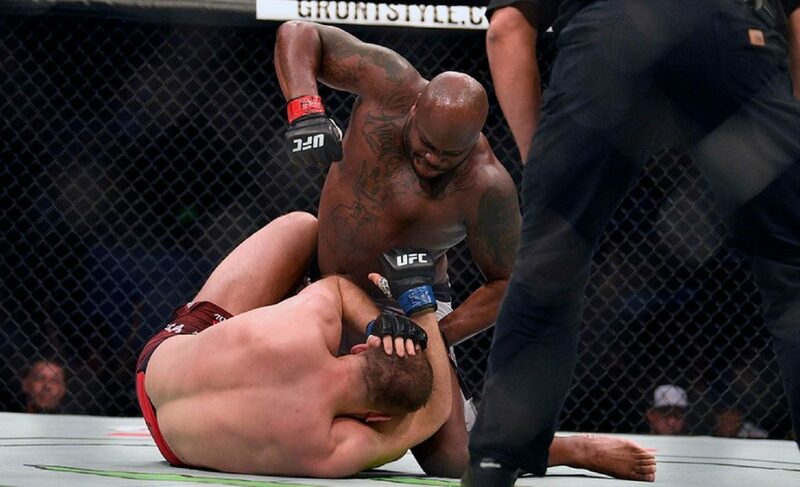 As the last round headed into it’s final three minutes of action, Derrick Lewis found the opportunity to crank up the heat. After once again escaping the top control of Tybura, Lewis postured up early to land a devastating combination that rocked the Polish heavyweight. What seemed like a possible loss on his record turned into a moment of ballistic redemption as Lewis did the dirty work to get the finish and ensure victory. In one of the most surprising results of the night, Curtis Millender pulls off the upset with a clinical finish of Thiago Alves in the second round. 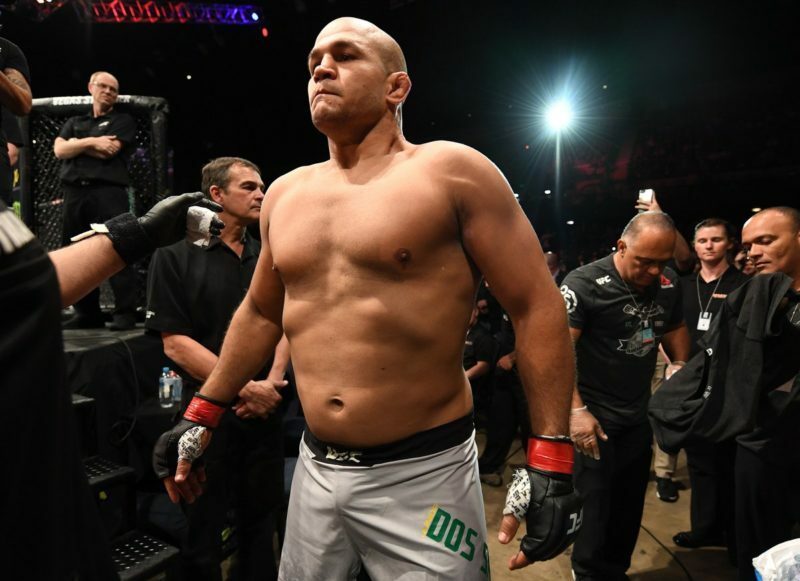 It was a delayed start to reinvigorate his career at 170 for Alves, after having his last two fights cancelled due to extraneous circumstances. Heading into UFC Fight Night 126, Alves was set to get a rebound victory off a newly signed talent in Curtis Millender. 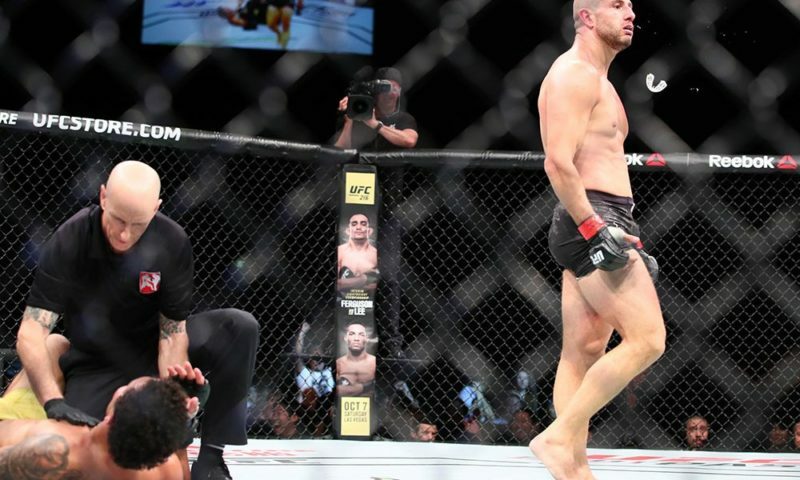 What was expected to be a routine result for the UFC veteran turned into a humbling defeat as a thunderous knee from Millender at the end of his exchange made the difference as Thiago Alves went tumbling to the canvas. Ever the gentleman, Curtis Millender stayed ‘Curtious’ in victory as he went on to give respect to his opponent while throwing a little shade to fellow welterweight standout, Mickey Gall. If Millender is looking for a quick capitalization of momentum, this might just be the fight to make as Millender looks to improve on his 15-3 professional record. 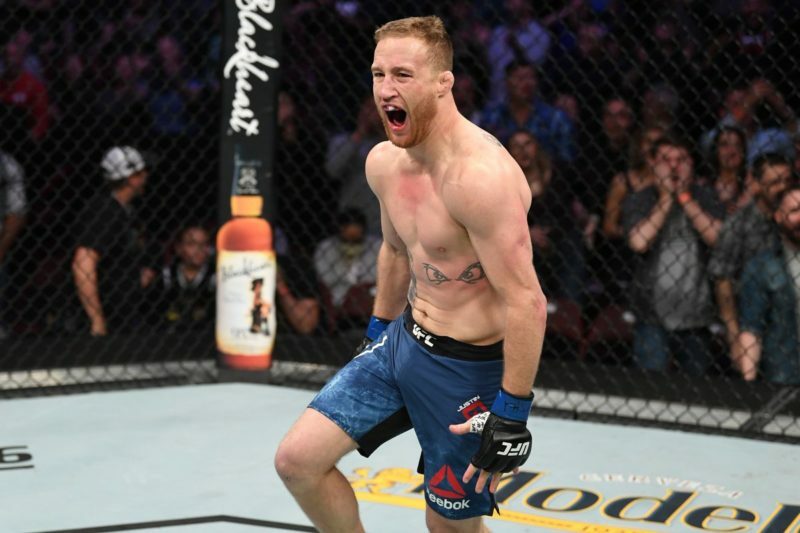 Brandon Davis bounced back from adversity in a big way after losing a fight to Kyle Bochniak less than a month ago at UFC 220. All the chips were against Davis as he was fighting Steven Paterson in his home state. 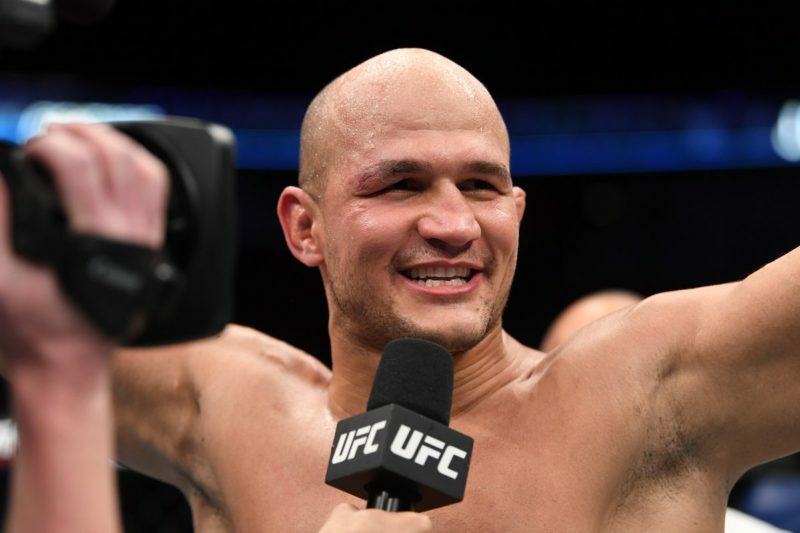 The Austin crowd was healthily in favor of their fighter, but ‘Killer B’ made sure to let the fans know there was plenty to cheer for as both fighters went the extra mile to get the win. Ultimately it was Brandon Davis that pulled ahead on the judges scorecards as he was piecing together combinations more fluidly than his opponent. 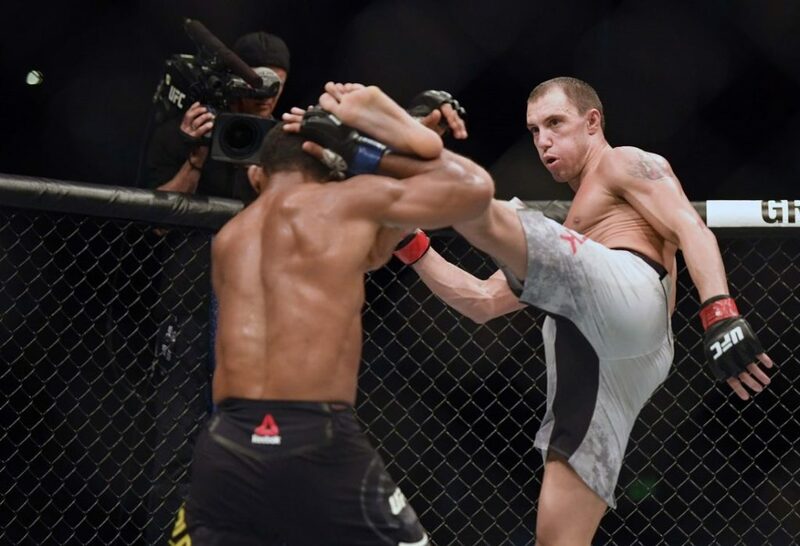 The cumulative damage that Davis inflicted put a toll on Paterson’s cardio, and Davis was able to outwork and out point his way to victory to make it 1-1 in official UFC competition. 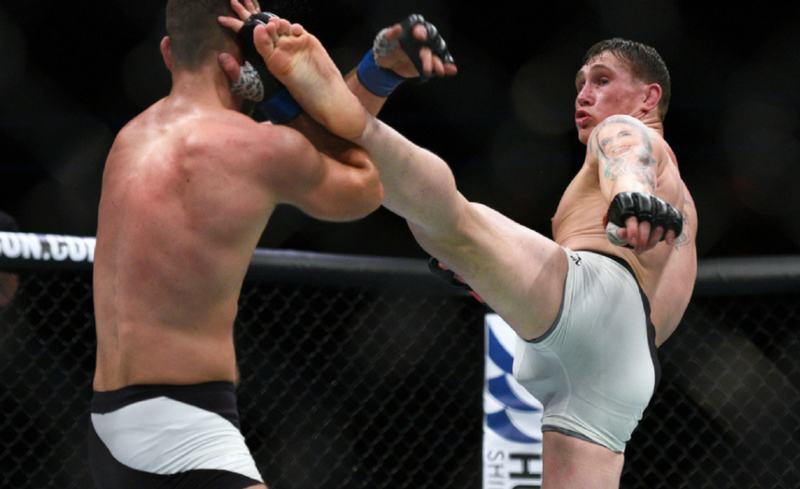 The Contender Series protege has been gaining a healthy following as he continues to show what Mississippi MMA is all about as he and teammate Jason Knight continue plying their trade in the organization. Davis continues to develop his game as a entertaining striker with a toughness that has yet to be broken. With another win, and bonus check under his belt, Davis mentioned he’s itching to get back in the cage as soon as possible to continue legitimizing his name.